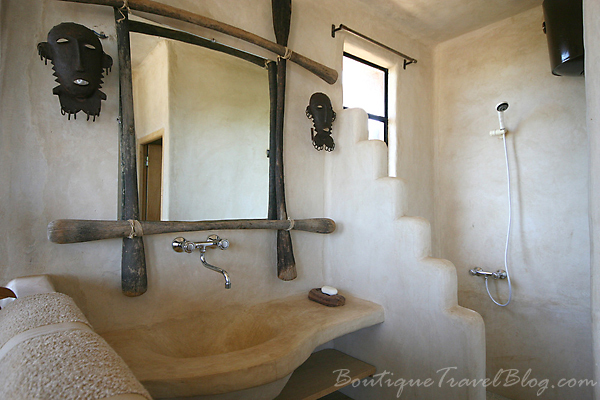 All the rooms are simply furnished, yet comfortable and in keeping with the African charm and character of the lodge. 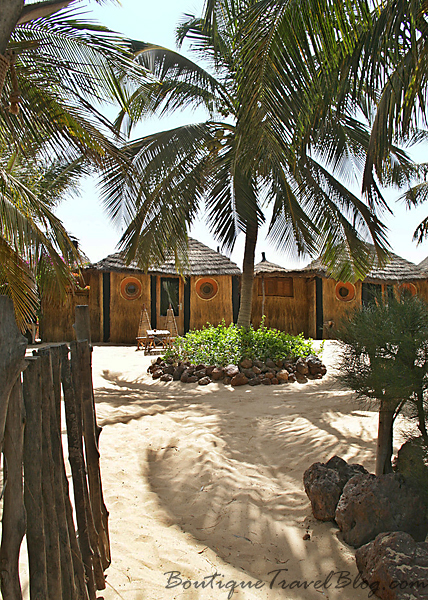 The Garden and Beach Lodges resemble traditional Senegalese thatched huts. The Royal Lodge is on the first floor of the main building and has one bedroom, a spacious living area and a large private terrace looking over the top of the palm trees to the sea. The Chief’s Lodge is a large round room on the beach. Hammocks, sun beds and reclining chairs are scattered around the sandy garden in the shade of the coconut trees. The restaurant serves simple yet exquisite cuisine, including delicious local dishes, all made from the finest and freshest local produce. 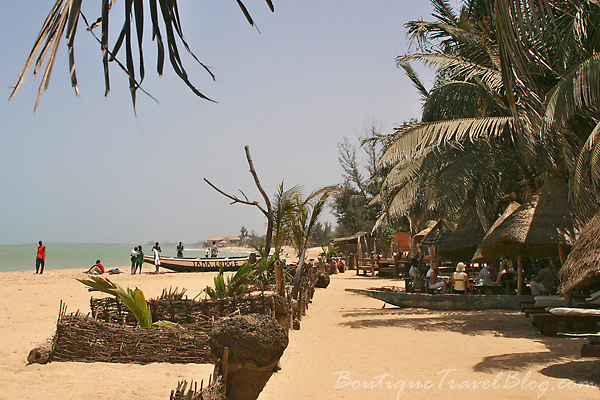 The seaside resort of Saly is within walking distance for a choice of restaurants, shops and a little nightlife. 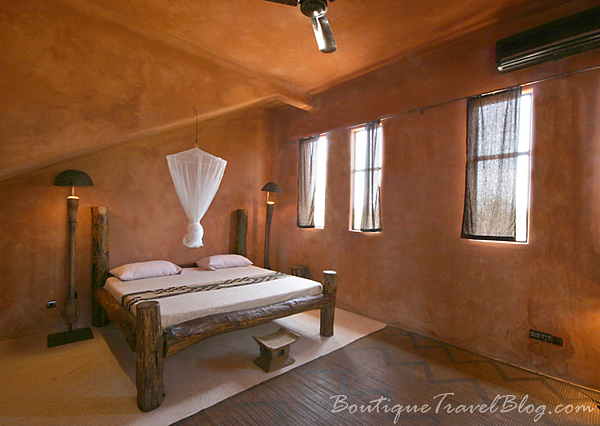 The nearby city of Mbour, offers a much more genuine Senegalese experience. Be sure to visit the colourful market and fishing port. It is also well worth going to a tradional mass here, where prayers are sang to the rhythm of African drums. The local villages of Peul or Serere are within easy reach, as is Bandia’s Nature Reserve which is just a 20 minute drive from the hotel, where you can see zebra, giraffe, rhinoceros, to name but a few, and over 120 species of birds. Gorée Island, a UNESCO world heritage and former slave warehouse, the Sine-Saloum delta and the Lac Rose (Pink Lake) also make interesting days out. What a beautiful place! 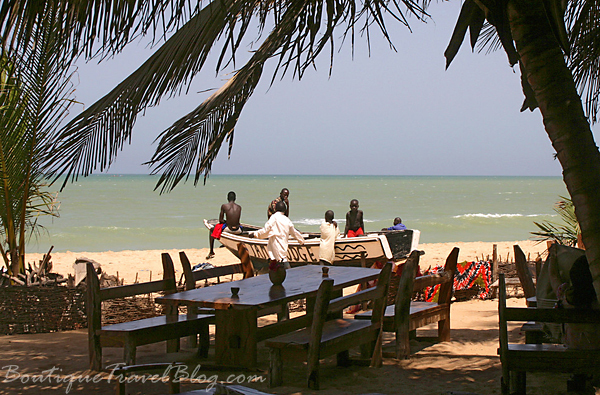 I can’t say I’ve ever thought about Senegal as a destination to visit before but it looks gorgeous. 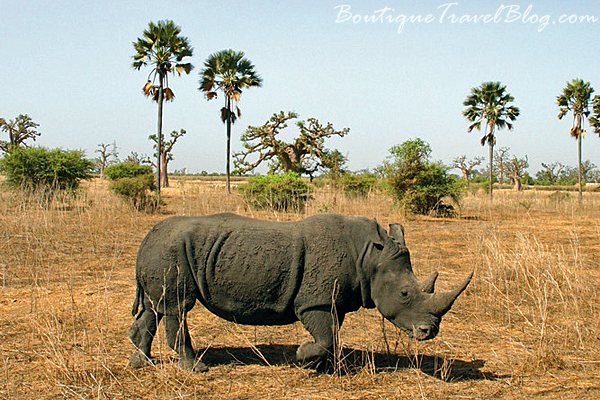 Senegal is a wonderful country with diverse landscapes and wildlife, interesting places to visit, a rich culture, friendly people and beautiful beaches. What more could you ask for! What an unusual hotel – and the beach looks fabulous too. 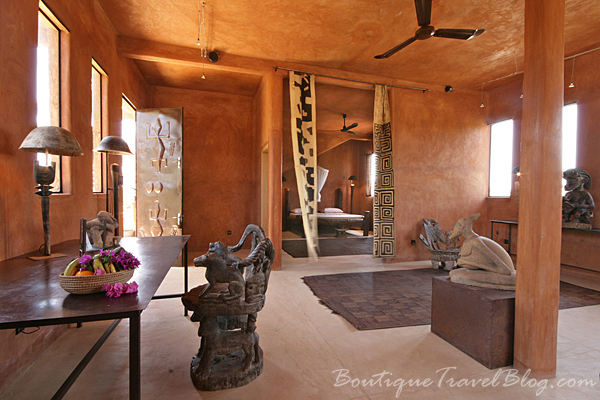 It really is a gem of a hotel and yes the beaches in Senegal are lovely. I was with The Senegal Experience http://www.senegal.co.uk (who can organise it all for you) and yes, I went to Bandia (great but fairly small) and further south to Sine Saloum Delta too. 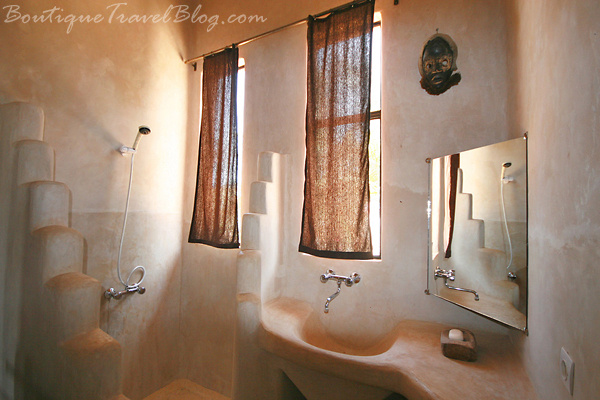 Feel free to email me at boutiquetravel@rocketmail.com if you’d like some advice. The one ‘must do’ that I’d really recommend is Gorée Island.